How can you teach discernment to your teens, help them develop critical thinking skills, and do it in a format that, well, makes them want to participate? 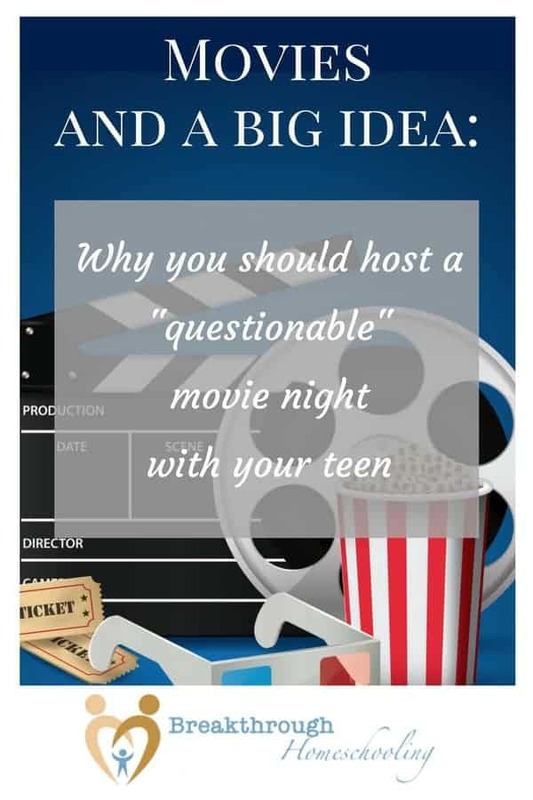 Typically this has been referred to as Family Movie Night or something similar, but anyone who has at least one teen at home will attest to the fact that, more often than not, there comes a time in said teen’s life when anything that has the word “family” in it becomes anathema. With its double entendre usage, the word “Questionable” creates a certain edginess that will draw in even the most aloof teen! Our kids attend a monthly Questionable Movie Night at a local church. The evening starts with a simple hot dog or pizza supper, a short period of fellowship and then a movie screening. 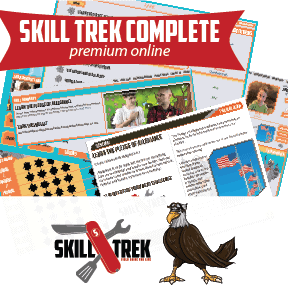 Afterward, there is a discussion time with prepared questions presented via Power Point. They have a faithfully attending group of kids that is constantly growing, and it is quite the event to attend in our circle! I think one thing that keeps ‘em coming is that the movie is never announced in advance. Of course, this requires an immense amount of trust on the parents’ part (and is totally optional; parents are able to learn it in advance), but thankfully, the gentleman who leads this up has a solid history in our community and maintains accountability with his church. How Do You Get Started With Hosting Your Own? • What would you say is the main point of this movie? Do you agree or disagree with it? • Which character did you admire most? Why? • Do the themes in this movie reflect reality? Do they reflect truth? • How do the morals onscreen compare with the values you’ve been taught at home, in school or in church? • Do you think movies like this have any effect on how close you feel to your family, friends or God? Explain. • Beyond God’s opinion of the movie, does the movie have an opinion of God? What is it? • What would happen if you imitated the lifestyles or choices of the characters? This resource was shared by one of our faithful Coffee and Conversation friends, Misty, from YearRoundHomeschooling: 100 Movies That Build Character. 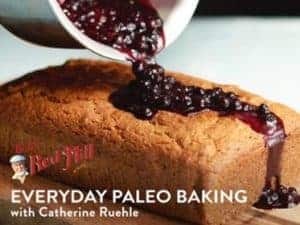 She also writes about a helpful book to better use the shows on her list. If you’re serious about making this a small group or church-wide event, or even opening this up to your community, there are a few things you may want to consider. 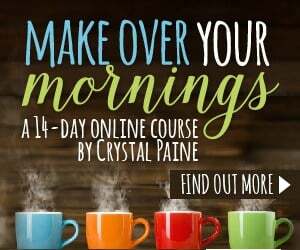 Start small – Experiment with your own family, or invite one or two others to get your groove as you get started. Enlist the help of your church – Even if it’s just to sponsor or fix and then clean up a simple supper, many hands make light work, and it helps to divide responsibilities. Keep the costs down – Charge $1 or $2 so the kids have some ownership in the evening but don’t make it cost prohibitive. The church my kids attend consider it a part of their ministry and subsidize the majority of the expense. Don’t stick to “religious” movies or those with an obvious message – While you might seriously need to think about R-rated movies, part of the reason we need to teach discernment and critical thinking is to apply those skills to situations our teens will find in the world. There is no better time or place to tackle real world issues and big concepts than with a mature Christian adult/s, in the presence of a group of peers they are comfortable with. 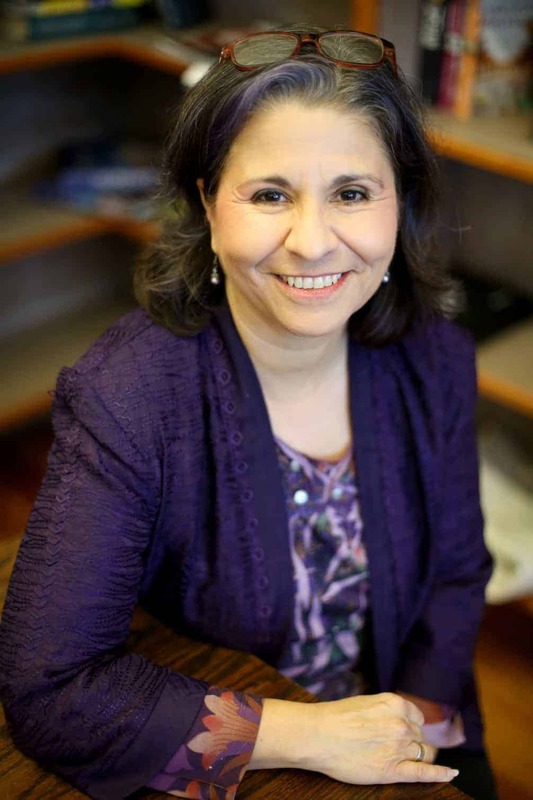 Have fun – One thing that attracts people of any age is the fun factor. 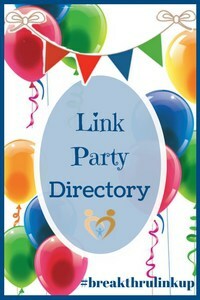 Hosting an event where there’s fun and laughter draws in adult help and teen participation! 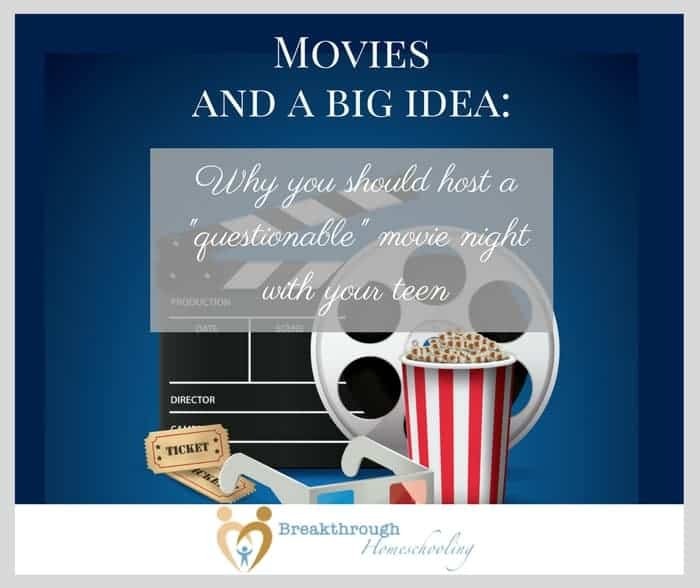 Take a look at the collection of Questionable Movie Night resources referred to above…and more! Mr. Tyler Hogan, the President of Bright Ideas Press, recorded a short (19 minute) interview discussing how we evaluate media with our children. While he does approach this from a Christian worldview, this is information that ALL families (not only homeschoolers) can use! Clicking on the image below leads to the recording as well as a summary of the key points he presents. You can download useful questions to use when discussing things with your teenager there, as well. 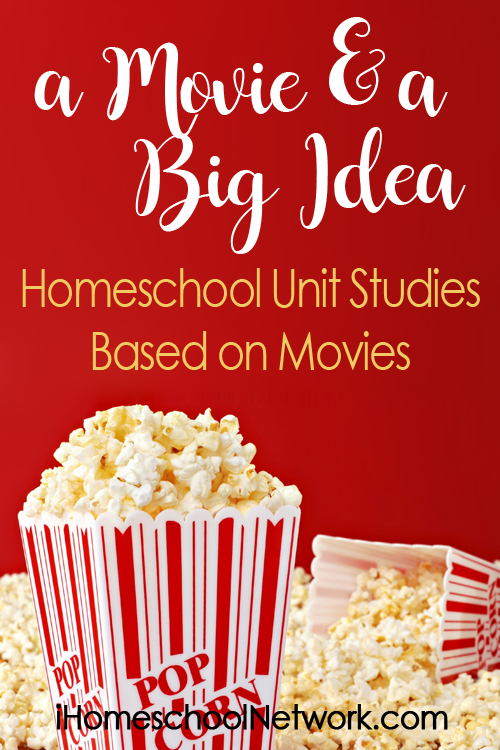 Find even more movie-based unit studies from veteran homeschool bloggers in the iHomeschooNetwork! The benefit of talking about these issues in a controlled group setting is that you now have their peers involved, you develop an understanding of where their friends are “coming from”, and you provide creative and productive fodder for further conversation. It’s really a way of making possibly uncomfortable conversations a little less threatening, and encouraging them to be open with each other…and adults who care and have a vested interest in their lives. Thanks for sharing..and keep on watching and bonding with those kiddos of yours! Kudos to you!! That’s really an amazing idea.